Friends, we just got back from our second annual Spice Up Your Life Mexico Trip and all of us at Tanteo are jazzed up about the future of the company. The Spice Up Your Life Mexico Trip is an opportunity for some of our biggest fans to come down and experience Tanteo’s home, both in the fields of Cienega, Jalisco as well as the vibrant nightlife of Guadalajara Mexico. This two night, three day trip is an experience full of all of Tanteo’s inspirations: great food, vibrant culture, and of course expertly crafted tequila. Below I wanted to give some highlights of what we did, why we did it, and what we hoped our guests learned about Tanteo’s home. Jalisco, Mexico is the home of tequila. While Tequila is the best known culinary tradition, Tapatio’s are proud of their broader contribution to gastronomy. This is expressed most simply in Birria. While Monterey is much heavier in beef, Mexico City is heavier in lamb, and the south is heavier in pork, goat is the meat of choice for this traditional hangover and celebration stew. Even the principal soccer team of Jalisco,Chivas, translates to “the goats”. For our Spice Up Your Life Mexico Trip, we try to experience Birria in both traditional and modern forms. 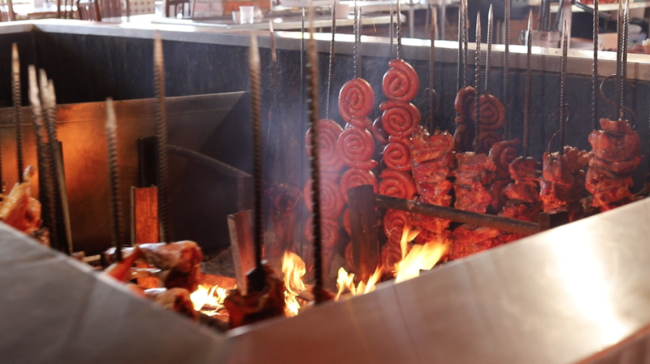 We traveled to the old mecca’s of birria like Birria Chololo and 9 Esquinas, as well as new expressions at Transfondaand Alcalde. 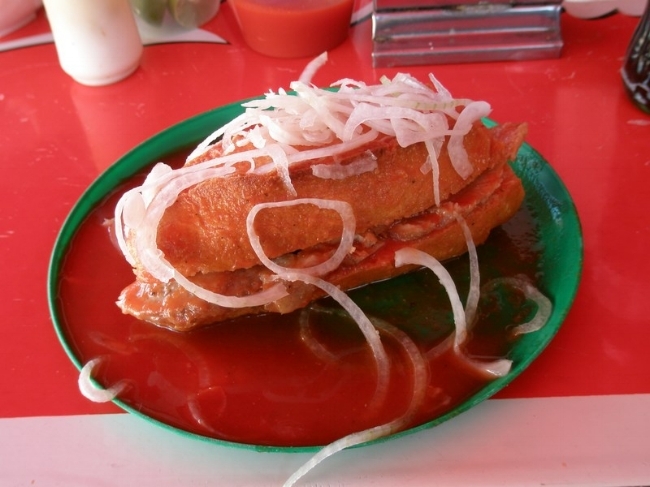 Another traditional dish is the Torta Ahogada, a sandwich of dense bolillo bread, pork, and both sweet and hot tomato sauce that is poured over the sandwich (they are very messy). We finished the trip with a last minute stop to famous Torta’s de la Bicicleta, which also happens to be a great remedy for the previous night’s tequila. Guadalajara is a vibrant historical city (founded in 1542) that continues to reinvent itself. With a hotel at the heart of the city, we were able to explore cathedrals and old libraries, as well as more modern murals and markets. The city center is a wonderful place for a cocktail and people watching. Being the second largest city in Mexico, outside of the center there are beautiful plazas, bars, and lots of colorful characters that we tried to experience as well. Beauty and decay offer a contrast throughout the city and we tried to show guests the city in its entirety. The highlight of the trip is a visit to Juanacatlan, Mexico (home of our distillery) and the nearby agave fields to harvest agaves by hand. Experiencing the hard work required to harvest an agave from the ground, taking in the sweet smell of cooked agave, chopping fresh jalapenos, and pressing your own wax seal on the bottle demonstrate all the care and attention it takes to make one bottle of Tanteo Tequila. Meeting the men and women who make Tanteo is also inspiring, from the farmers and distillery workers to Tanteo’s Mexican Operations Manager, Ernesto De Alba. As we slowly come down from the high of the trip to the distiller, lots of good memories remain. We hope you can join us on the next one!